The Boulder Chess Club meets every Wednesday from 6:30 PM until 9:30 PM. Players of all strengths are welcome to attend. We meet in the University Memorial Center (UMC) on the CU Boulder Campus on the first floor, in the common area right across from Starbucks. We have weekly unrated G/15 tournaments, but you are welcome to skip these and play blitz with other members. Please bring your own chess set and chess clock if you have them. For more information, including a map of our meeting location and parking options, please subscribe to our Meetup page. Our goal is to create an interactive and vibrant Boulder chess community, and we welcome all chess players to come and check us out. And if you only want to watch, that’s fine too! 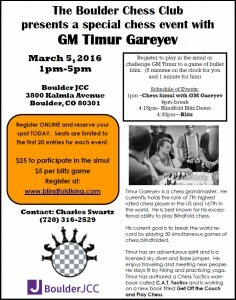 GM Timur Gareyev (FIDE 2611) will be playing a simultaneous exhibition on Saturday, March 5th in Boulder. If you would like to sign up to play GM Gareyev in slow chess or blitz please register at blindfoldking.com. Space is limited and it will sell out, so register soon. Please see the attached flyer for more information. Hope to see you there! 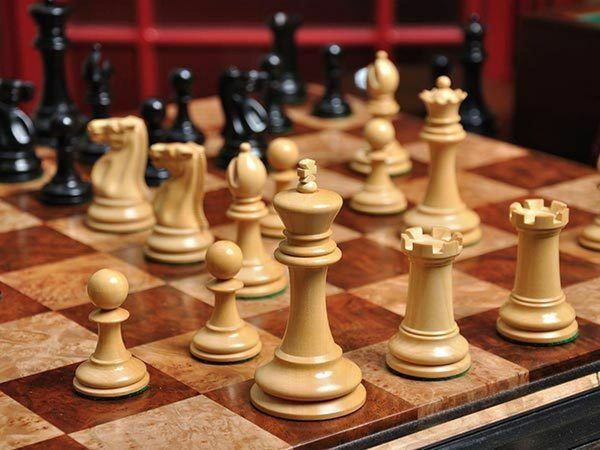 Please join us for our next Boulder 20/20 chess tournament on Wednesday, September 3rd, 2014 at 6:45pm. Every month we will be hosting “Wednesday G/90 Quads” rated tournaments that start on the 2nd Wednesday of the month and last for 3 weeks (1 game per week). Quads are a lot of fun because you are paired with players who have a similar rating. Our first tournament starts on Wednesday, September 10th and we hope to see you there. Please join us for our 3rd Boulder 20/20 tournament this Wednesday, January 15th. 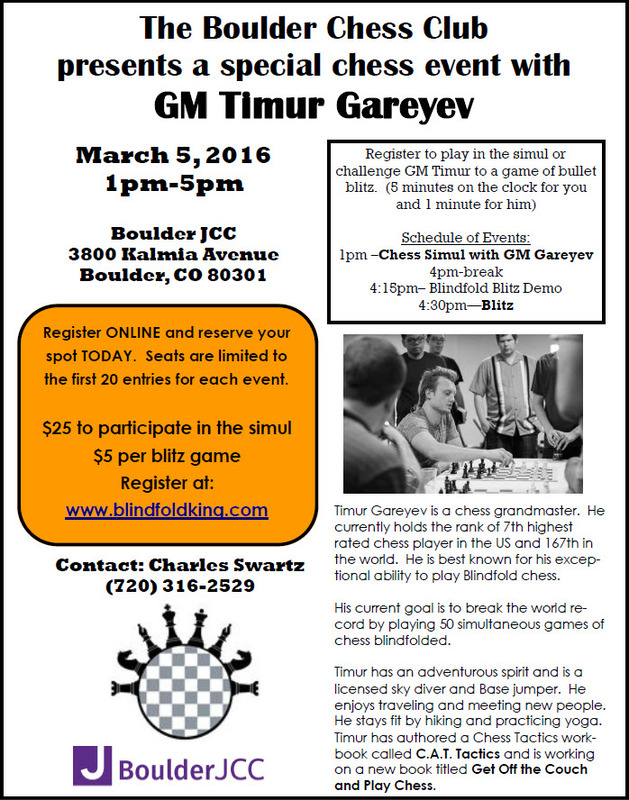 For more information and to register please visit http://www.meetup.com/boulderchess/events/157866722/ – thanks!